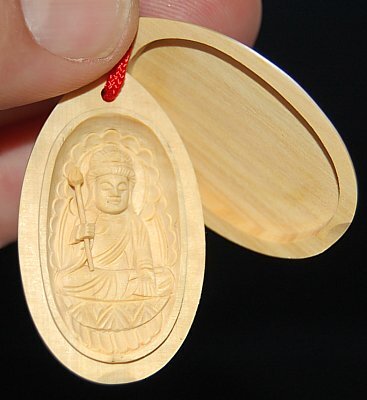 Kokuzo represents wisdom, memory, and the granting of wishes; also known as the patron of craftspeople and artisans. 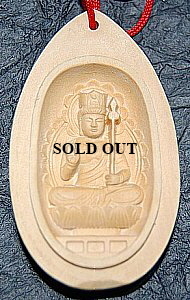 In left hand, Kokūzō holds a lotus stem surmounted with the sacred wish-giving gem; right hand forms the "Fear Not Mudra." See Kokuzo Top Page for more background notes. 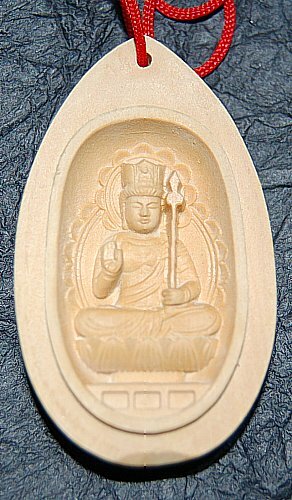 Kokuzo also serves as patron of people born in Zodiac years of the Ox or Tiger. 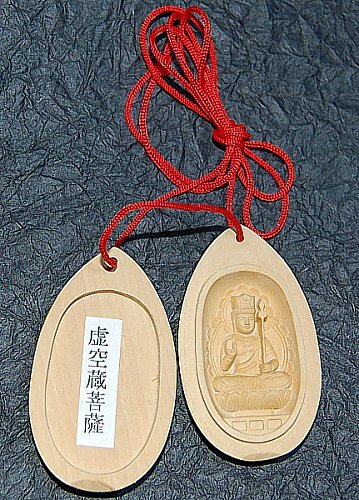 Above is example of amulet size (example deity is not Kokuzo). 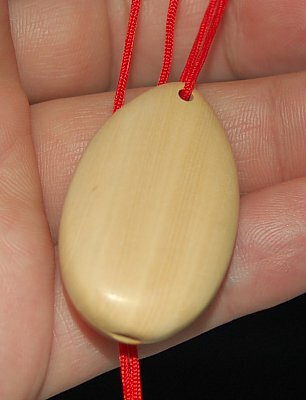 Kokuzo piece comes in exact same size and same two-piece design.